Macsim Fastenings was founded by the father of the current Managing Director in 1954, and our first foray into fasteners was in 1963. Since 1963, Macsim has gradually increased its’ comprehensive ranges to include masonry anchors, rivets, screws, bolts, nails, powder and gas tools, silicones and adhesives, high tensile bolts, drills, driver bits, cable ties and miscellaneous fixing related items. 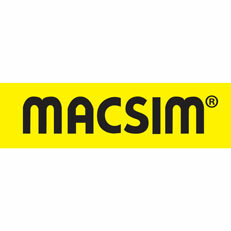 The complete Macsim range now includes over 15,800+ products. As technology advances, the Macsim ranges are constantly evolving, in an endeavour to stay current and innovative. Macsim Fastenings is a wholly Australian owned fastening company, with branches operating in Sydney, Melbourne, Brisbane, Townsville, Perth and Adelaide. Macsim also has a branch in Auckland, New Zealand. Macsim Fastenings, with its state by state supply base and a branch in New Zealand, continues to go from strength to strength by offering quality products, backed up by dedicated customer service.